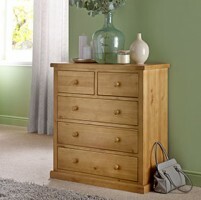 If your bedroom is a chaotic space with clothes strewn everywhere, it's time to get organised. 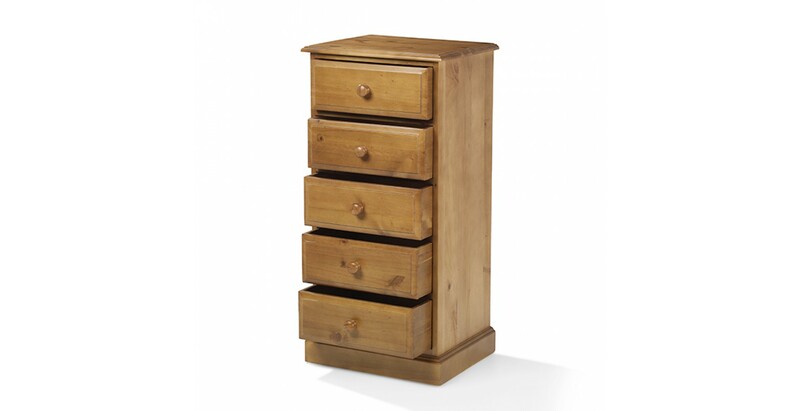 This handsome, wallet-friendly chest of drawers will help and won't take up too much precious floor space doing it. 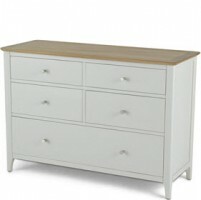 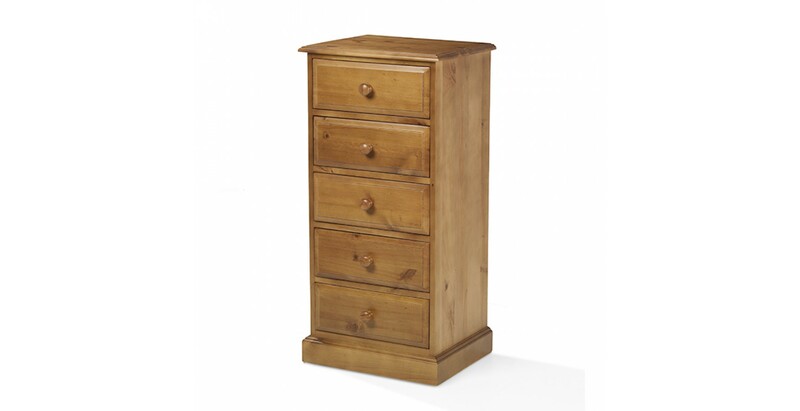 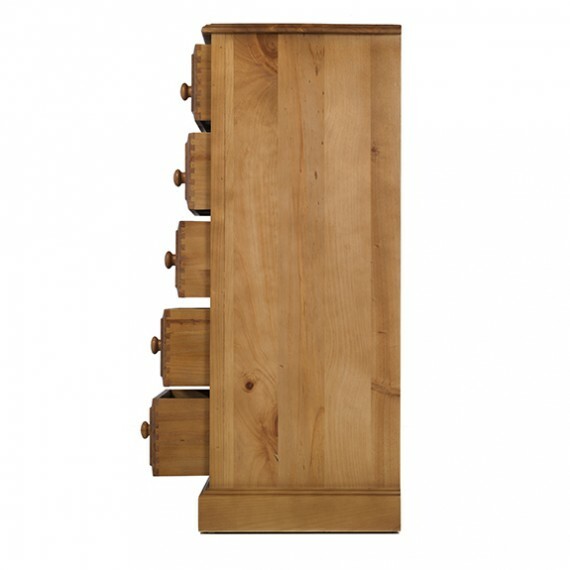 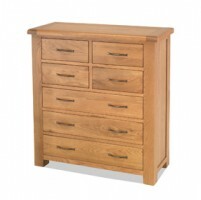 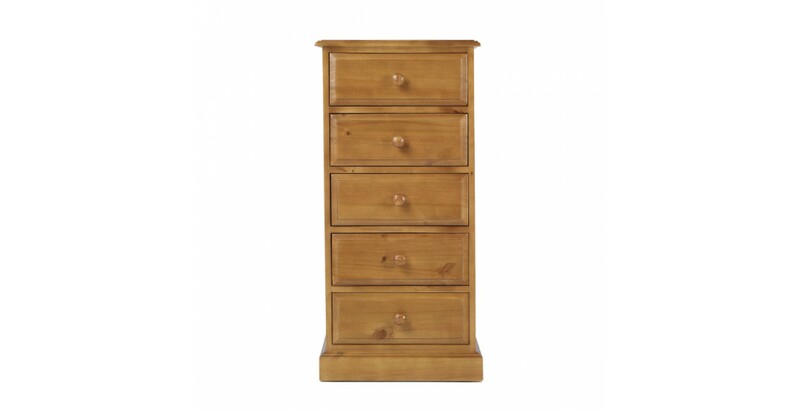 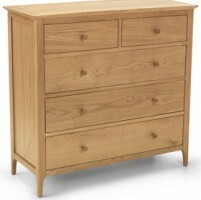 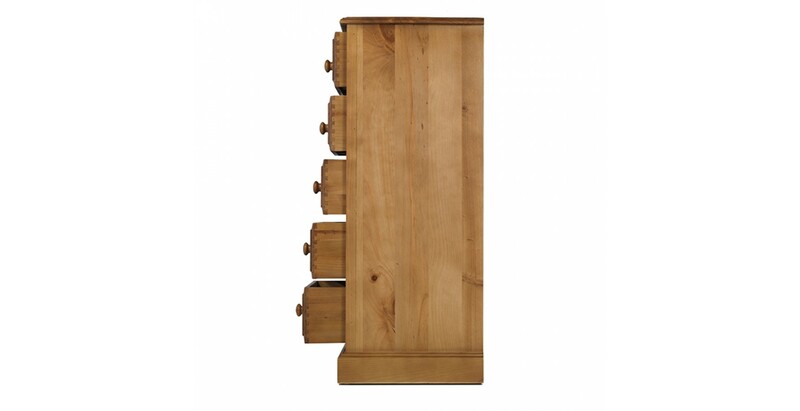 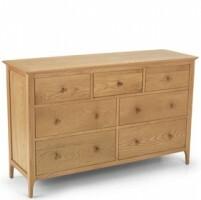 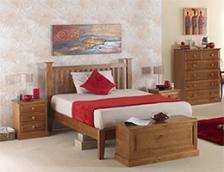 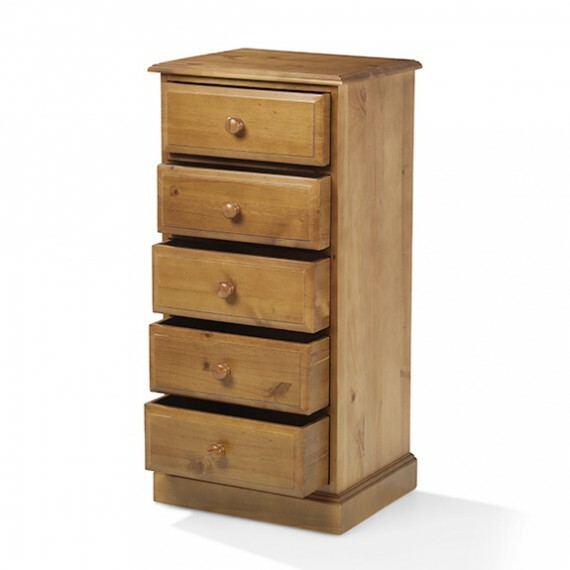 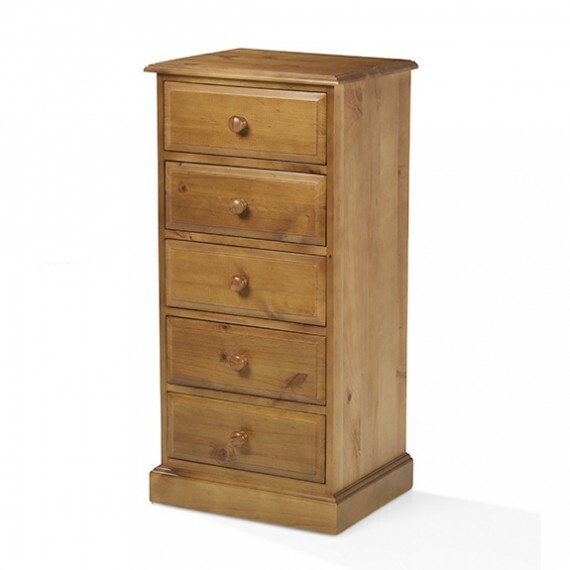 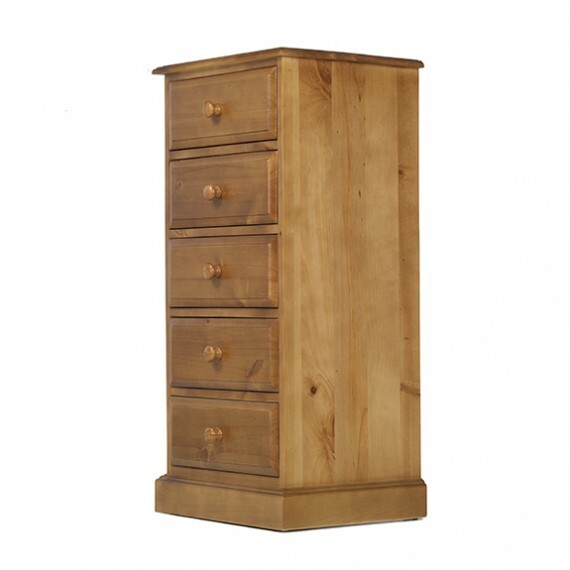 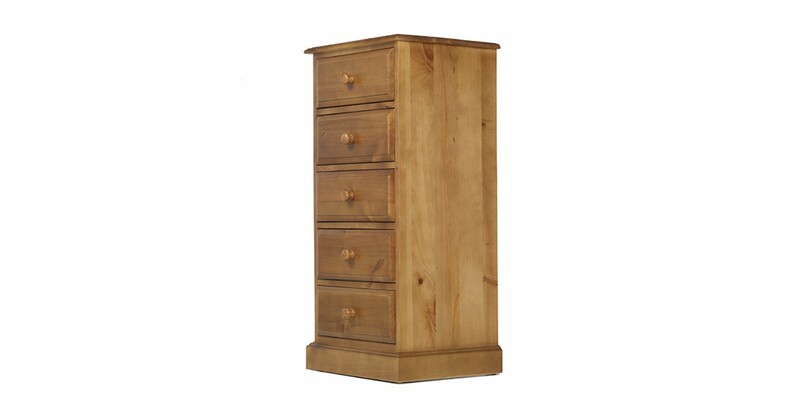 Expertly made from solid pine and bursting with character, it has five roomy drawers to eradicate clothes chaos. 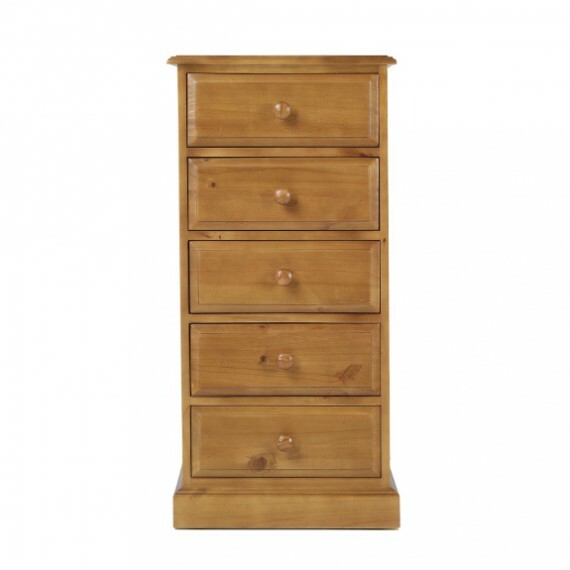 Finished with a matt lacquer that brings its unique rustic character to the fore, it will add timeless country-style to any room where you need to get organised.